Model Number: AT-HD570 The Atlona AT-HD570 is a professional quality HDMI Audio de-embedder. 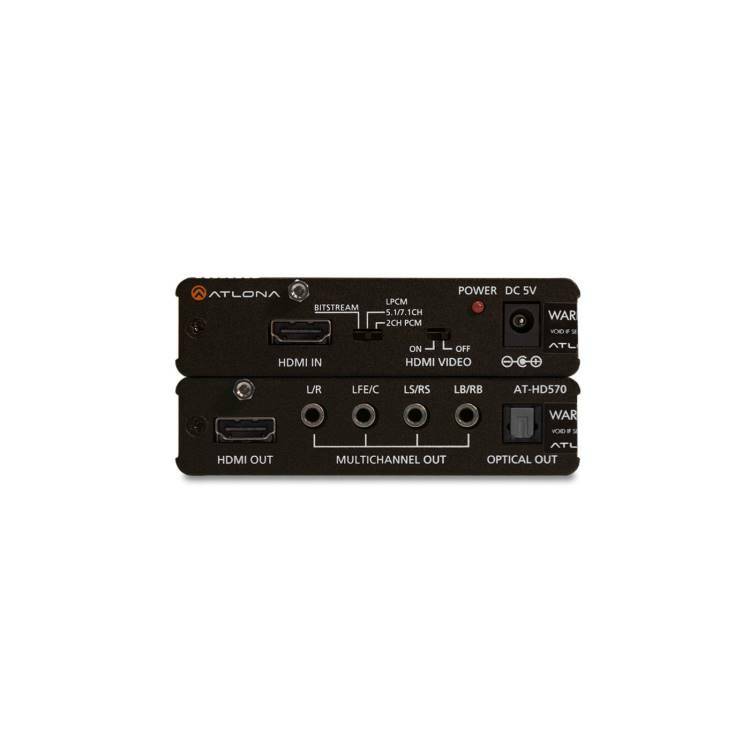 Input an HDMI signal to the HD570 and it de-embeds the audio signal to either Optical or Multi-Channel analog audio outputs. This audio de-embedder supports uncompressed analog LPCM 7.1, 5.1, 2ch through the multi-channel analog outputs. On the optical output it supports Dolby Digital, LPCM 2CH and DTS signals. Dolby TrueHD and DTS-HD Master Audio pass through HDMI connection without being de-embedded.